When creating promotional products for your brand, there’s a high chance that your printing company will either use pad printing or screen printing to do it. While it’s best left up to the experts, it’s still beneficial to have an idea of what’s involved with each process. Below we’ve explained some of the key difference between pad printing and screen printing. The name gives a big clue to how pad printing works. The process involves transferring ink from a silicone pad onto the item you want printed. You could think of it as like those stamps you probably used to make crafts when you were a kid – though obviously professional pad printing is much more sophisticated! The pad printing machine holds both the pad and the product steady and then presses the pad into an ink plate, which has been tailored to the shape of your logo or artwork. The pad is then pressed onto the object and left to air dry. It’s pretty straightforward. Pad printing is a relatively modern process, especially when compared to screen printing, which dates back centuries and is often preferred as it makes it easier to print unusual shaped objects. One of the main advantages of using pad printing is that you can use it to print on three dimensional surfaces and products of all shapes and sizes. It doesn’t matter if your items are curved or have an uneven surface, using this printing method will still achieve a quality print. 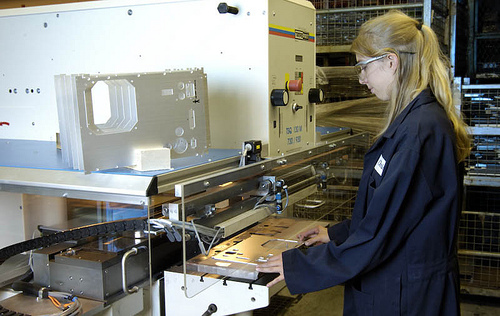 Pad printing is also suitable for delicate and mechanically sensitive products. If you need to print fine subjects, you will find that the resolution of pad printing is far better than that of screen printing. Many companies actually choose to run their own pad printing operations in-house, as set-up costs are fairly low. Not only that but pad printing equipment doesn’t take up much room and the process is fairly simply to learn. While pad printing is great for achieving accurate results, it is slightly limited in terms of speed. You usually have to apply multiple colours separately, so there is a slight risk of registration. However in terms of reliability and versatility, you really can’t beat it! The process of screen printing involves creating an ink-blocking stencil and applying it to a woven mesh. The stencil then forms an area through which ink or other substances can be transferred. While today, screen printing is the most widely used method of t-shirt printing, the technique actually dates back to early China (between 960 and 1279 AD). 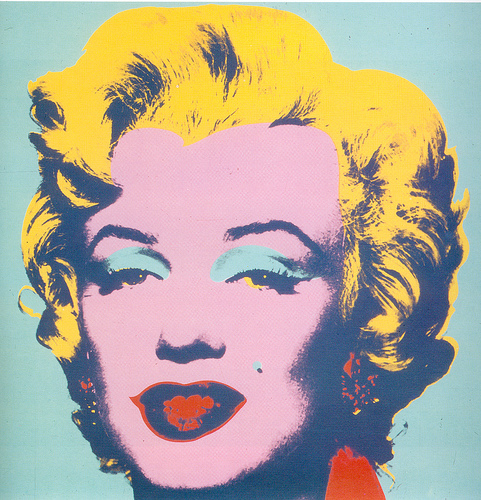 It was the technique used by Andy Warhol in the sixties for his Marilyn Monroe and Elvis Presley prints and it is still used by many companies today. Today’s screen printing equipment is highly sophisticated and largely automated. It is ideal for carrying out quick and effective printing on t-shirts and other promotional products; however it’s not the best method for printing items with intricate detail. While screen printing is ideal for larger designs consisting of just a couple of colours, it can get quite expensive if you require multiple colours, as each has to be applied separately. When using multiple colours, there’s also a risk of registration, however this can usually be resolved by overprinting (printing one colour on top of another). Screen printing can also be fairly time consuming to set up and clean, which is why most businesses tend to outsource any screen printing, rather than conduct it in-house. Pad Printing vs. Screen Printing: Which is better? When choosing between pad printing and screen printing, it’s not really a case of which method is better in general but which method is better for your printing project. Before determining which printing method you are going to use, it’s best to study your product and consider the results you are hoping to achieve. If your product is small (e.g. bar codes and labels) and features intricate detailing, then pad printing is going to be the best option for you. Pad printing is also excellent for printing on unusual shapes. The same goes for if you are printing on a 3D or uneven surface. Pad printing is quick, cost effective and ideal for achieving high quality, small prints. If on the other hand the surface area of your item is quite large and you require a big print (say for example on a t-shirt) then screen printing will make much more sense. Also be aware that screen printing can cause inks, enamels and paints to be transferred during the process. If in doubt about which is the best to use then contact an expert like ourselves here at Tampo Canada Inc. While there are key differences between pad printing and screen printing both boast great advantages, which is why they are the two most popular printing methods used today. For more information about pad printing equipment and consumables, feel free to get in touch.